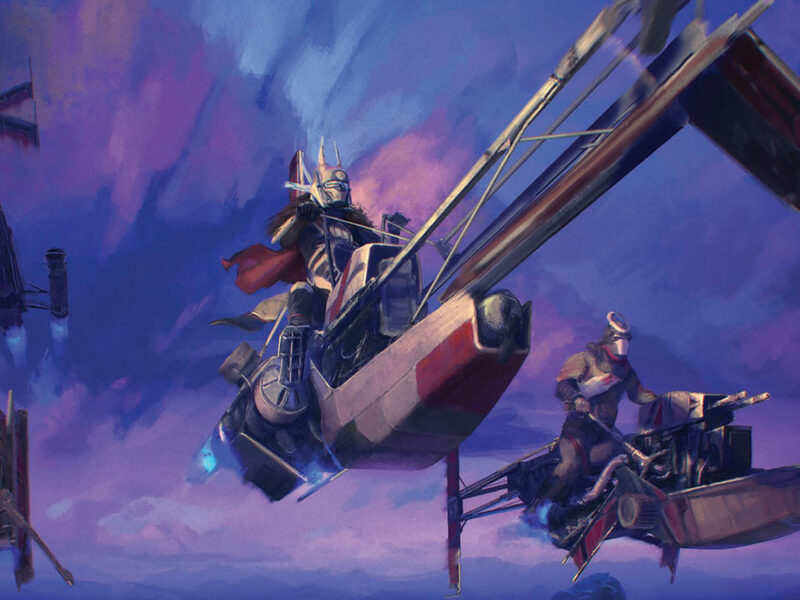 The writer/artist behind Jedi Academy: The New Class talks transferring into Jedi school, custodian droids, and more. When it comes to attending school, not even kids with Force powers have it easy. 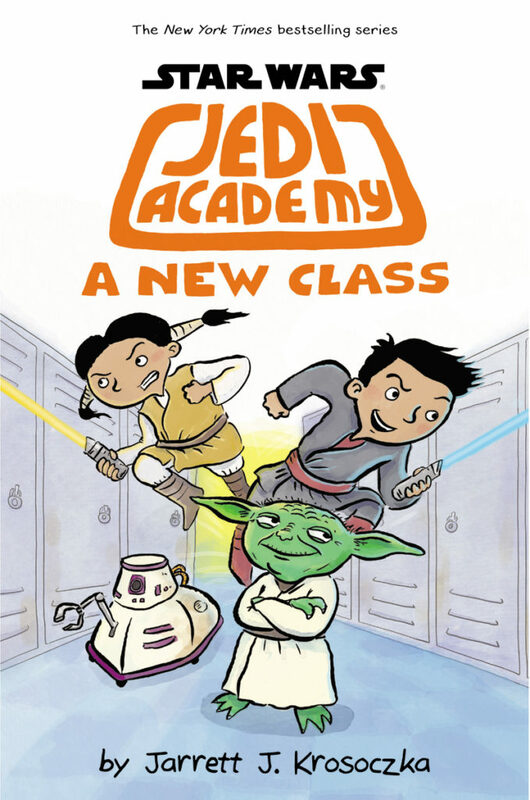 The Jedi Academy series from Scholastic has brought school-aged readers the highs and lows of being a student at Jedi Academy through great storytelling and humorous art. Just released at the end of July, Jedi Academy: A New Class continues the series, with a new protagonist, Victor Starspeeder, and a new author, Jarrett J. Krosoczka, taking the reins from Jeffrey Brown. 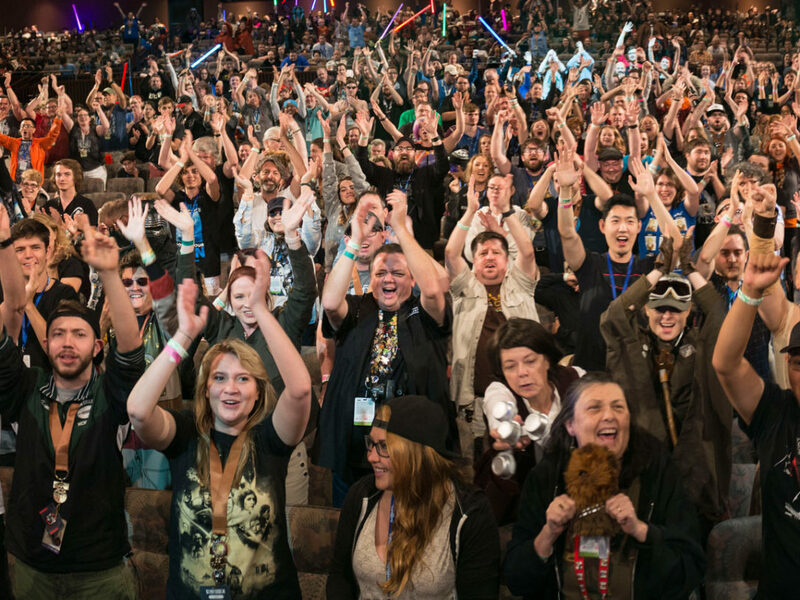 StarWars.com went to the source and interviewed Krosoczka via e-mail to get the story behind the new Jedi Academy tale. StarWars.com: Jedi Academy: A New Class focuses on a new student, Victor Starspeeder, as he starts at the Coruscant Jedi Academy. What’s Victor like, and why is Jedi Academy a big deal for him? Jarrett J. Krosoczka: Victor is a kid with wide eyes and a big heart. It has always been a dream of his to get to the Coruscant Jedi Academy like his sister and father before him. Since he transfers in halfway through the year from Obroa-skai, he does feel the need to prove himself. Victor also has problems with impulse control, which gets him into some hot water. StarWars.com: When the story begins, the only other student Victor knows at Jedi Academy is his older sister, Christina. What can you tell us about their relationship? Jarrett J. Krosoczka: Victor worships his sister, Christina, but he would never let on that he does. She’s smart, talented, and strong, and well on her way to becoming a powerful Jedi — all things that Victor aspires to be. Christina also cares deeply for her little brother, but, again, she doesn’t want to let on that she does. But when she sees that Victor is in trouble, she doesn’t hesitate to step in to help. Just as long as Victor doesn’t cramp her style in front of her friends. 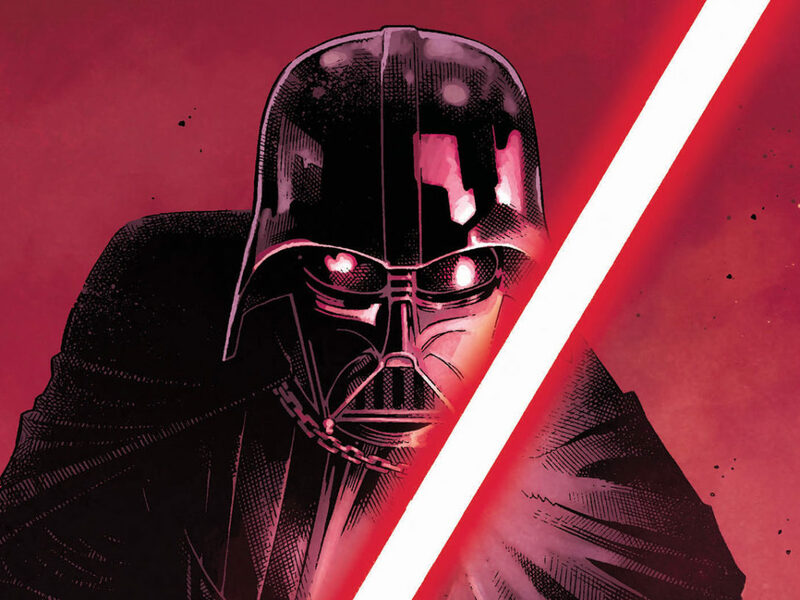 StarWars.com: The story is told from Victor’s point of view through comics, journal entries, and clippings. How do those all work together to tell the story? Jarrett J. Krosoczka: Switching between the journal entries and the graphic novel pieces provides a contrast between Victor’s perceptions and expectations with the realities of his situation. For instance, he imagines being the brave Jedi who saves people in his journal while, in real life, Victor is the one getting saved. The journals really help me convey Victor’s naiveté about his position in life. The newspaper clippings and letters help me bring in an outsider’s perspective on Victor and events happening at Jedi Academy. 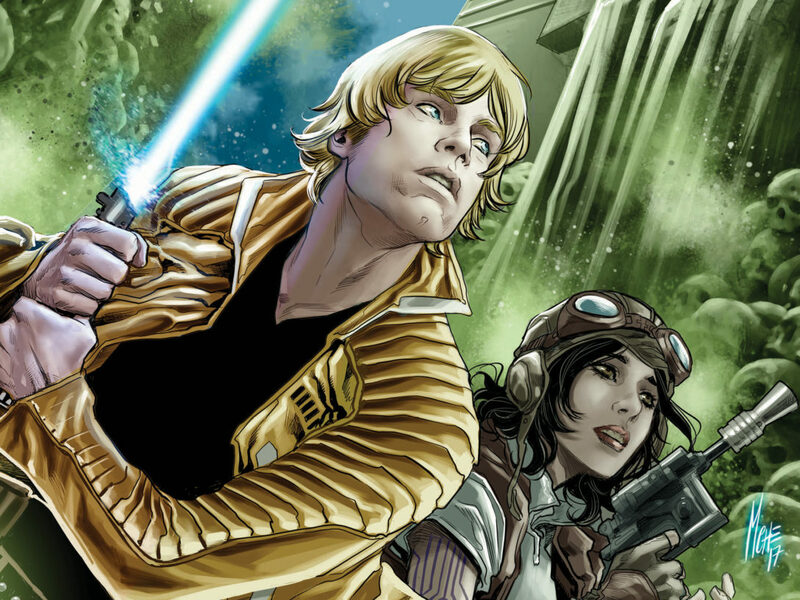 StarWars.com: You introduce a lot of new characters, both students and faculty — who are some of your favorites, and why? Jarrett J. Krosoczka: I really like P-10, the utilitarian droid who keeps the facilities running smoothly. In college, we had this custodian who knew everybody’s business. We’d be cleaning off our trays in the cafeteria, and he would catch us up on the latest gossip. The custodian sees and knows all, and P-10 serves that function in this story. While Victor has a rough introduction to P-10, the droid warms up to him and tries to give a head’s up about other students’ true motives. I also had a lot of fun with Artemis, Victor’s bunkmate and sometimes adversary. StarWars.com: What was it like getting into Yoda’s head as a teacher at the school? 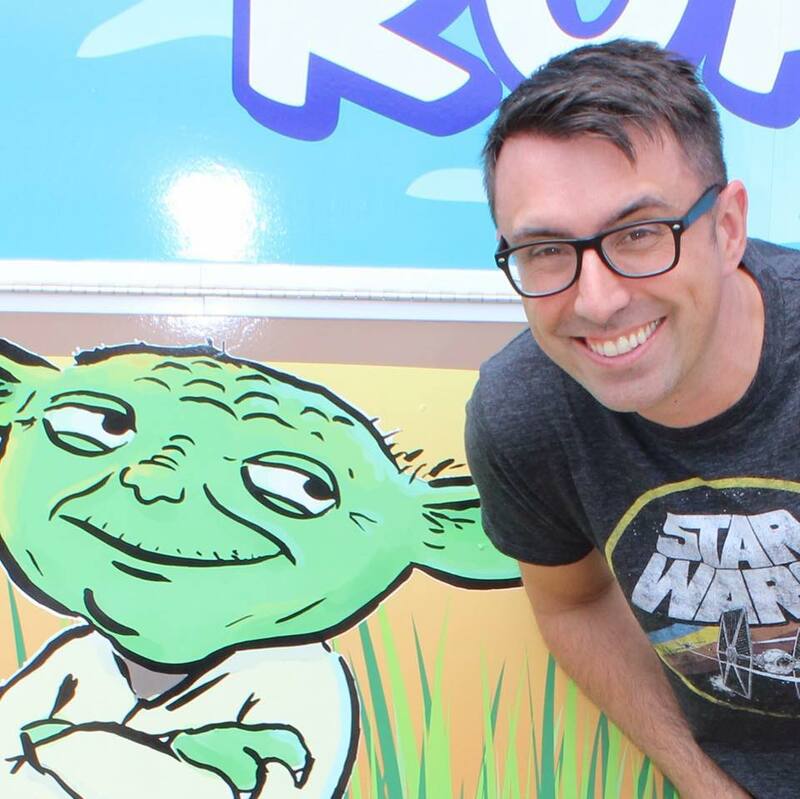 Jarrett J. Krosoczka: Writing and drawing for Yoda is an incredible honor. And it was a lot of fun! Like all really good teachers, Yoda wants his students to succeed. While Victor has some missteps, Yoda can see that the kid has promise and talent. At the moment, all of those gifts are sending Victor in the wrong direction, so Yoda makes a seemingly small decision to set Victor on a different path. Yoda has Victor join Drama Club. Yes, Victor will use his artistic talents to help design the sets, but also learn to control his emotions he will. 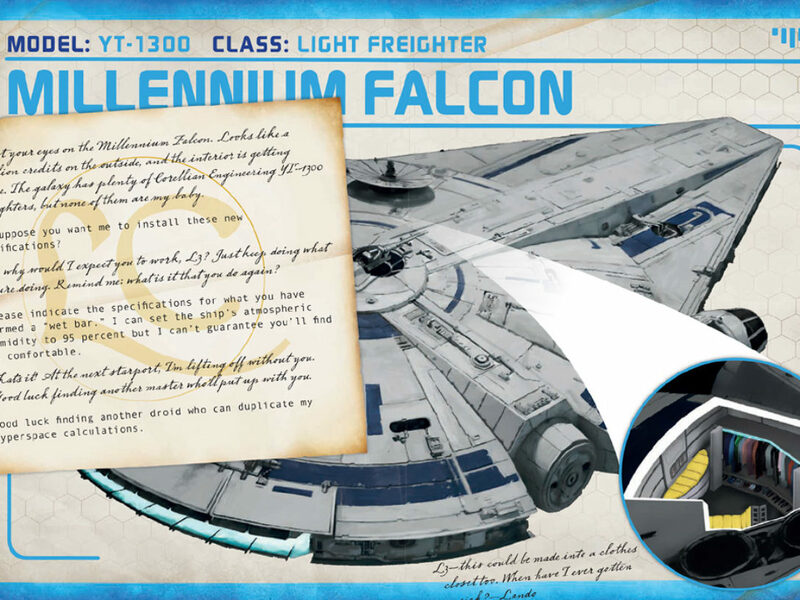 StarWars.com: In the clippings that Victor inserts into his journal, you’ve drawn some Star Wars versions of some classic American comic strips, as well as some clickbait headlines from the galactic news feed. How did these come about? Jarrett J. Krosoczka: I’m following in the footsteps of the immensely talented Jeffrey Brown. 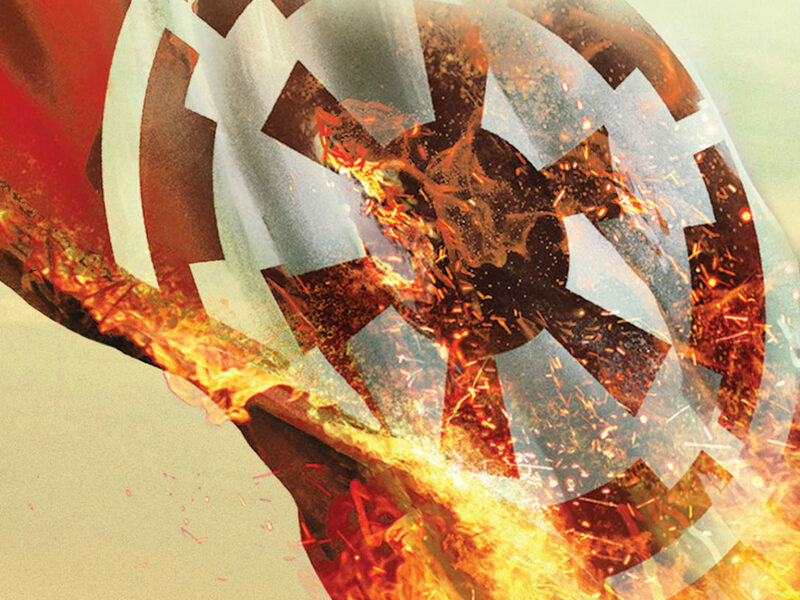 When I received the call that Jeffrey was stepping away from the Jedi Academy series and would I be interested in creating a new story arc, I was intimidated. These are incredibly huge shoes to fill. I didn’t want to stray too far from the format that Jeffrey set up, but I also knew that for this to work, I had to bring my own sensibilities to the table. So I added these sections to break up the story with absurd bits. Victor doesn’t have a very long attention span, so these pieces also help you get into his head as he switches from writing in his journal to clicking around on his datapad. I’ve also added a section from the school’s guidance counselor to move the story along. The students seeking advice write anonymously, but their concerns run parallel to what our protagonist is going through. 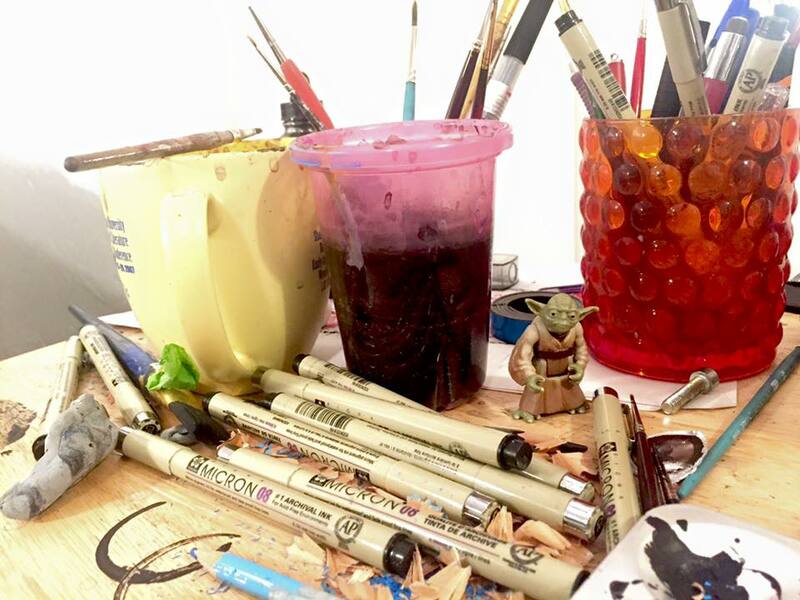 StarWars.com: What’s the process you use for developing your illustrations? Jarrett J. Krosoczka: As an author and illustrator, the question I get asked most often is what comes first? The words or the pictures? And the answer is — both. When inventing a character, I spend time drawing them in my sketchbook and getting to know them. A few lines will pop into my head as I draw, and I will scribble them down. As the process progresses, I begin to thumbnail the book out, deciding where the pictures and words will go. This gives me a macro view of the entire book. When it comes to final art, I pencil everything out with a non-photo blue pencil and then ink in the final artwork with brush and ink. I use a Micron pen for some small details. That artwork is scanned in and gets shaded in Photoshop. Artists Joey Weiser and Michele Chidester help with that step. They lay down the general gradations of the color, or in this case, greys. When I get the files back from them, I modulate the light and shadows and add other details. 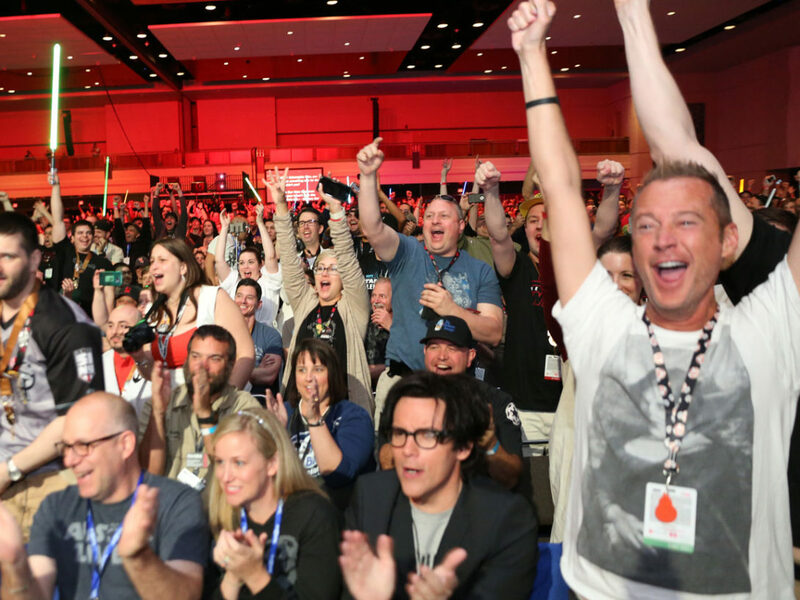 StarWars.com: What real world experiences do you draw upon when writing Star Wars? Was your grade or high school experience a lot like Victor’s? 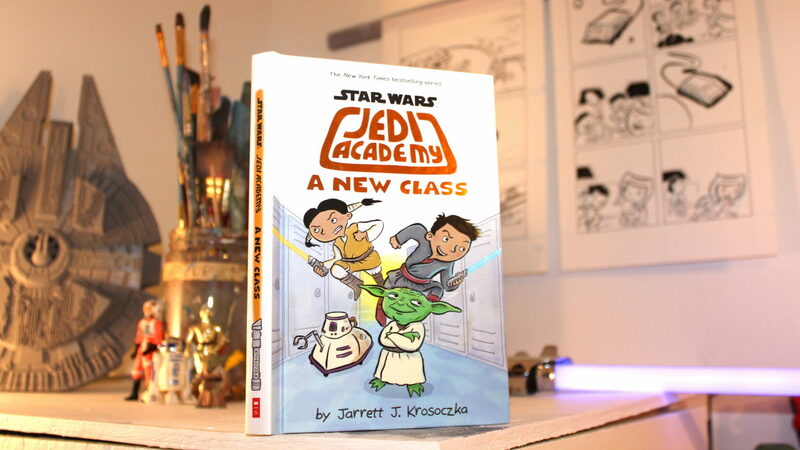 Jarrett J. Krosoczka: The Jedi Academy series is all about life at school. Sure there are lightsabers and a menagerie of alien species, but the books follow a Jedi initiate as they discover their place in the galaxy. With that in mind, I totally pulled from my own school experiences. In 9th grade English class, I had drawn this cartoon of our teacher, Mr. Greenwood. (Drawing cartoons was the only way for me to make friends in high school — I didn’t play sports.) I passed the drawing to my classmate, who laughed a little too loudly. Mr. Greenwood immediately knew that I was the center of the commotion and sent me to the hall. I was terrified, I never much got into trouble. Anyhow, instead of sending me to the principal’s office, he introduced me to the teacher who ran the school newspaper, and I was hired to be the cartoonist! Since Roan was the school newspaper’s cartoonist for the first three Jedi Academy books, I sent Victor to another part of school — the theater department. I designed and painted the sets for my high school’s annual musical. Eventually, the director got me on stage to perform, but that was only after years of working behind the scenes. 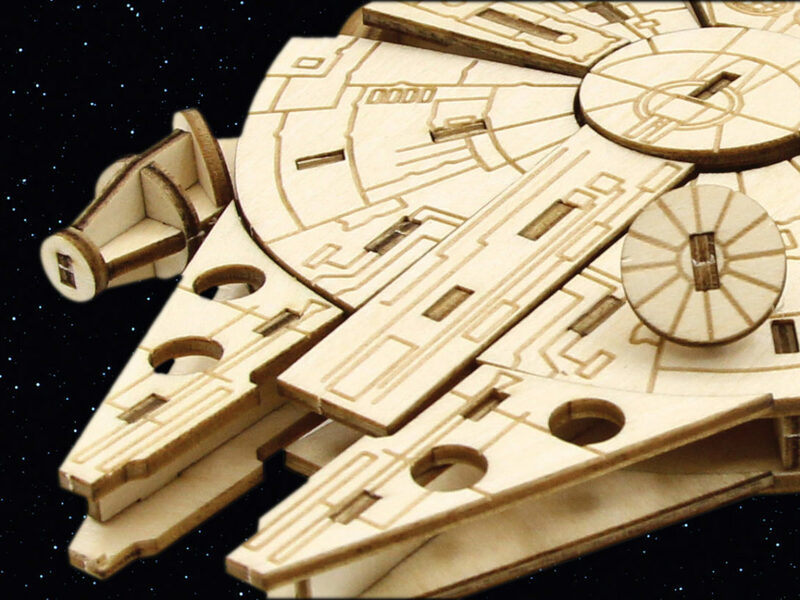 StarWars.com: What lessons would you share with children going to school, Jedi or not? Jarrett J. Krosoczka: For any kid, regardless of what planet their school is located, I would tell them to be true to themselves. Don’t be afraid to celebrate the very thing that makes you, you. And celebrate your friends, too. Victor Starspeeder finds himself and his true friends when he looks passed the notion of what he thinks he should be. 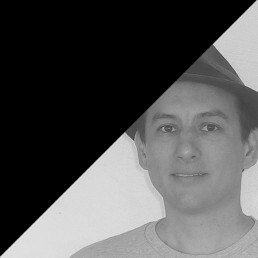 James Floyd is a writer, photographer, and organizer of puzzle adventures. He’s a bit tall for a Jawa. 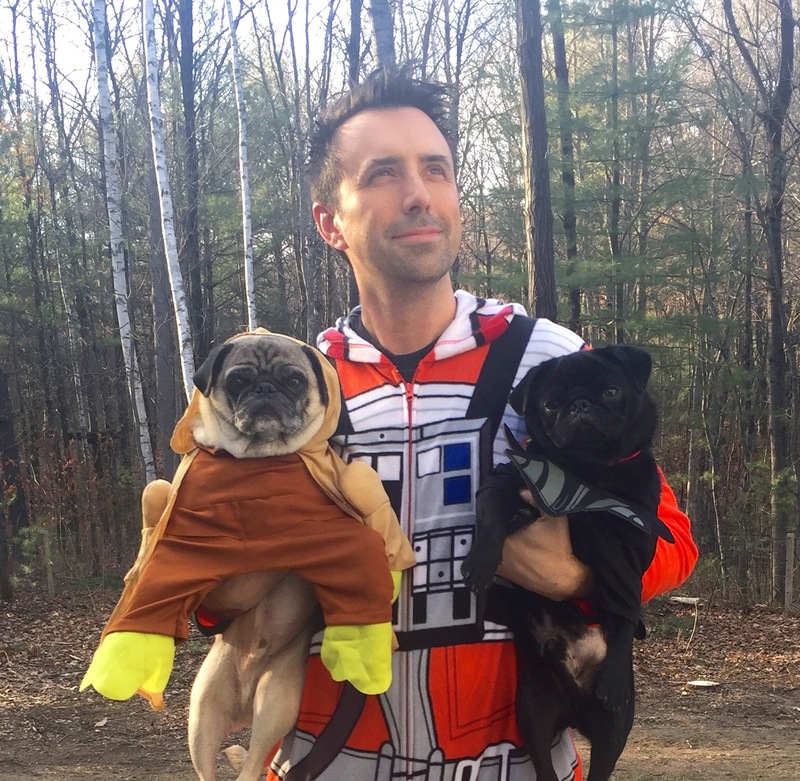 His current project is Wear Star Wars Every Day, a fundraising effort for a refugee aid organization. You can follow him on Twitter at @jamesjawa or check out his articles on Club Jade and Big Shiny Robot.